Your tenants are probably treating your rental property like their own, but if they’re not you want to know right away. 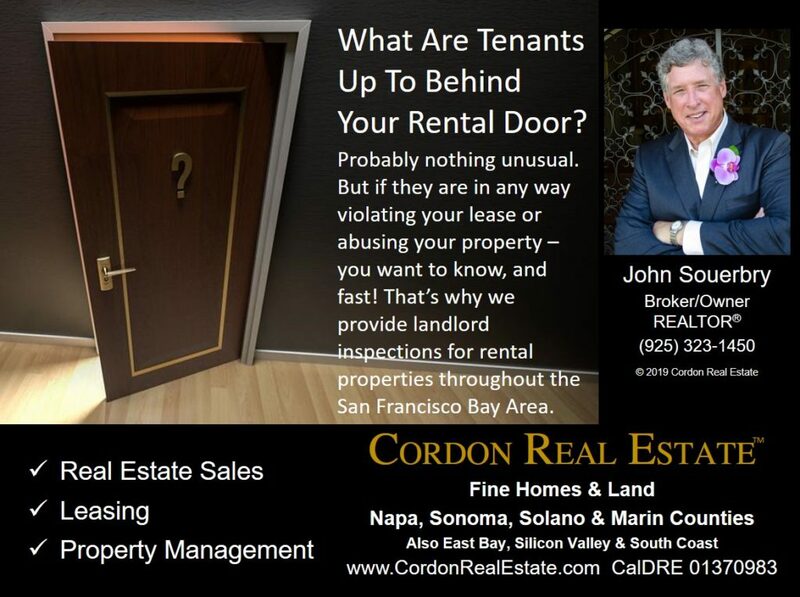 That’s why we provide landlord inspections throughout the San Francisco Bay Area. From simple drive-by’s to detailed inspections of the interior and exterior. Landlord inspections can be most helpful at move-in, move-out or any time during tenancy when owners suspect or know there might be a problem. We also provide scheduled inspections, typically semi-annually or annually, to give landlords piece of mind and let tenants know that ownership is staying on top of maintenance and other issues. What do landlord inspections include? Each inspection is tailored to the needs of the owner and the type of property. Maybe you just need to know if a tenant still occupies a property past their eviction date and want to avoid a confrontation yourself. Maybe you live out of the area and want pictures to confirm that the lawn is being properly maintained by the tenant or your lawn service. For move-in and move-out inspections, we’ll do a detailed inspection of every area, take pictures, and test water faucets, light switches and the heater and air conditioner. We’ll also take inventory of all appliances, including make/model/serial number and color. Suspect problems? We’ll look for signs of subletting, occupants not identified in the lease, property abuse, unsanitary conditions, overcrowding, unauthorized remodeling and other issues. We’ll document everything so that you can make an informed decision on how to resolve the situation with you tenant (we’ll even help with resolution). Each inspection includes delivery of a detailed report and photographs of the property. A typical inspection of a 3 bedroom, 2 bath single family home (for example) might include 50 to 150 photographs. Our inspections are not Property Inspections such as you would order when buying or selling a property. Those are very specific inspections that dive much deeper into the condition of the property and functionality of its systems. Our inspections skim the surface, focus on how tenants are treating the property, and look for signs of non-compliance with the terms of your lease. If we identify an item or area that needs further evaluation, we will recommend inspection by a licensed Property Inspector or tradesman (plumber, electrician, etc.). Our service area includes the entire San Francisco Bay Area, including the Peninsula (San Francisco City/County and San Mateo and Santa Clara Counties), East Bay (Alameda and Contra Costa Counties) and North Bay/Wine Country (Marin, Sonoma, Napa and Solano Counties). Need an inspection or have a question? Use the form below to send us your information and we’ll get back to you as soon as possible. If you would like to be contacted, how? Finally, if you're asking a general question, is it OK to share it with our other blog readers? We'll remove any specific or personal information and display only your first name, city and state. Use CAPTCHA to verify you are not a robot, then click on SUBMIT button below.